44 Mini Keys100 Tones and 50 Rhythmeyboard44 mini-size keysMaximum Polyphony8Tones100 built-in tones..
44 Mini Keys100 Tones and 50 RhythmsKeyboard44 mini-size keysMaximum Polyphony8Tones100 built-in ton.. Size : Suitale for all 5 Octave Keyboard including PSR-970 & Motif.Crossrock Keyboard Hard .. 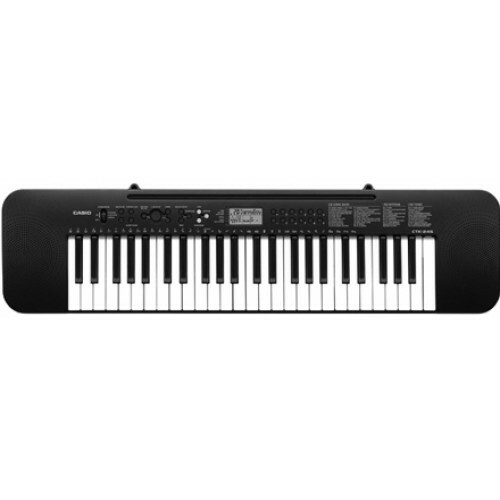 Keyboard that sparks you, passion for music.Created by the Roland brand that is acclaimed by profess.. This Book Contained Major Scales Various types of Minor Scales, Principle Chords, .. Double Keyboard Stand with Heavy And best Quality Material.Double Keyboard Stand with Adjustab..